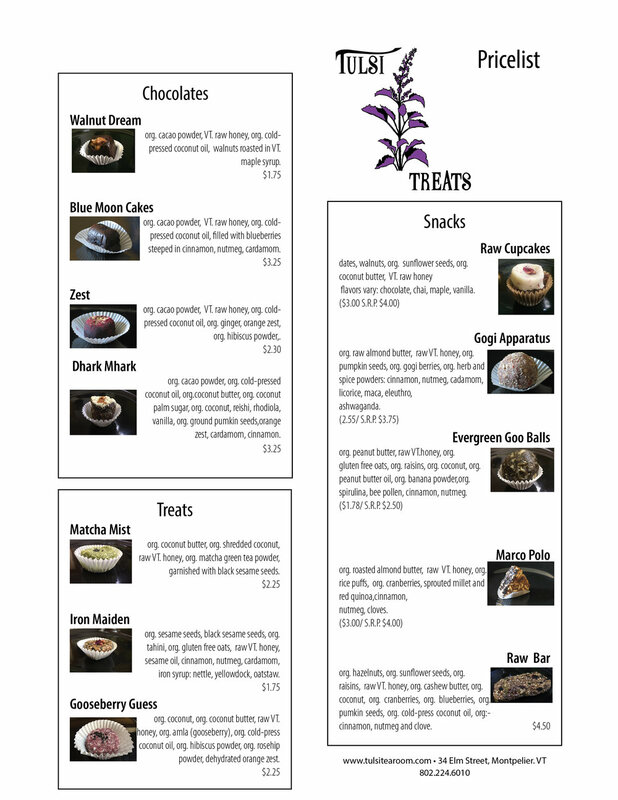 Tulsi Treats are available for purchase at 34 Elm Street Tues-Sat from 12-5:30. These hearty energy snacks are optimal if you don’t have time to grab lunch or need a little something extra to get you through a couple hours until your next square meal. Some snack options include adaptogens—herbs that are know for their ability both energize and help the body adjust to stress. We have new creations as well that include but are not limited to: C-B-Delicate, Volcanna, Super-Spiro, Eleuthereal, Aphrodesia and Orange Sunshine.